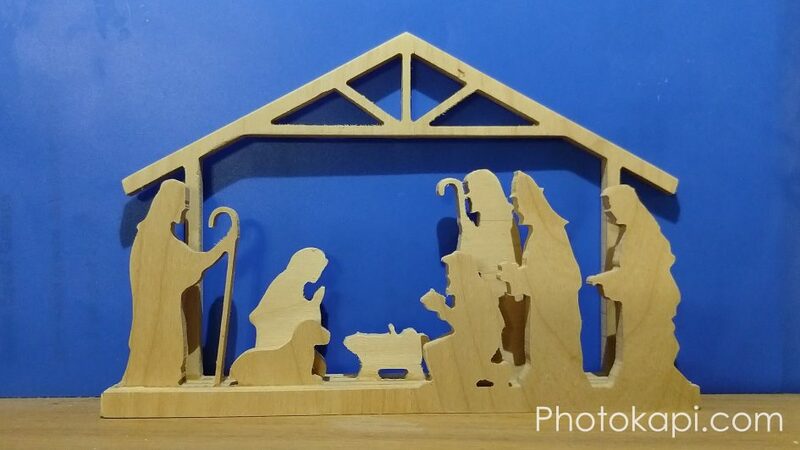 With Christmas just around the corner, I thought it would be fun to make a nativity set with my CNC machine. I set up each layer with a tab of the same length, so they could be glued together. If you’d like to watch the making of video, you can watch it below. If you subscribe to my YouTube channel and comment on this video (on YouTube) before November 15th, you are entered to win the nativity set. *Update* Congratulations to Mikael Stansfield on winning this nativity set. If you are interested in purchasing one, they are available at https://www.etsy.com/shop/Photokapi.